Want to simplify your bid process? Get developed your own Bid Management Portal. 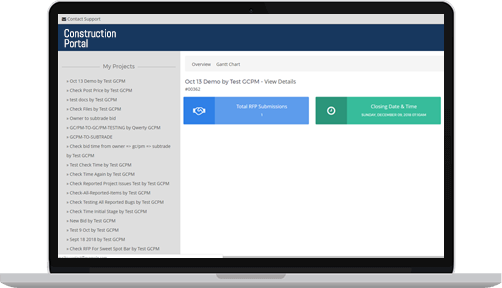 Our client approached us to create a platform for bidders, constructors, project managers & subcontractors to track project management & digital estimations. To let the Owners, General Contractors & Subcontractors accelerate the bid estimation process, Project Partner is created. Project Partner by ChicMic is a highly reliable portal developed to post construction projects & bids. The app features Sweet Spot Bar for Owners & General Contractors to indicate regarding which bid is close to their expectation on the basis of budget constraints & timeline. The owner side Project Partner aims to bring transparency into the construction process. From construction to operation, the app reduces exposure to risk featuring Unlimited Data Storage, Automatic Status updates, Progress Reports, Guaranteed & Secured Data etc. To help owners know the what, when & how of every project, the Project Manager(GCs) creates fully customised reports. Simply log in to create a post with info regarding the project (resources, cost, location) & share with the GCs & subcontractors to request for bid. Here, the owner can keep the bids open or close. In open bids, contractors get an opportunity to place an offer whereas, in the closed bids, a special group of contractors are invited to connect. On the basis of factors like time, cost, resource availability, the final selection of a contractor is made by the owner. This web-based portal is no less than any smart & powerful solution for GCs to manage their pre-construction. Integrated with the industry’s best technological solutions providers for construction, the Project Partner provides easy access to projects, subcontractors & bids. When it comes to security then Project Partner is the software of choice. By using this software general contractors can easily plan, bid, order & manage materials. As a GC, a user will log in to place an offer. With Project Partner software, the general contractor will open bids for subs to fulfil the owner’s project requirements. The app allows sharing of project documents no matter the type except Zip files. GCs make use of Project Partner to find the most qualified subcontractors. From managing subcontractors data to comparing bids, the app lets the GCs make the right choice. The app not only streamlines the bidding project data and communication between Owner & General Contractors/ Subcontractor. Moreover, the Project Manager under GCs plays a vital role in building reports & projects metrics which are viewed by the owner as well. Project Partner brings the best opportunities to subcontractors. Using this app, subs can hassle-free receive more invitations to bid. This online construction network bridges the gap between the subcontractors & owners plus subcontractors & general contractors. The app enables the user to consolidate the owner’s project history & companies qualifications. 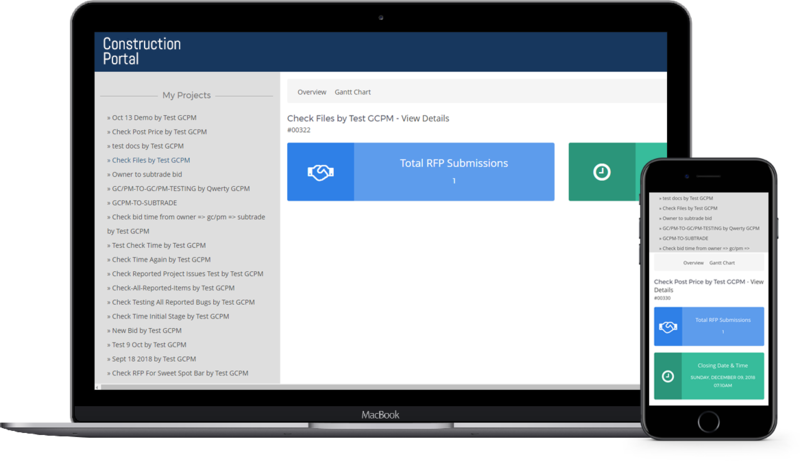 With a simple log in, the subcontractors can effortlessly submit a bid to GCs or owners.